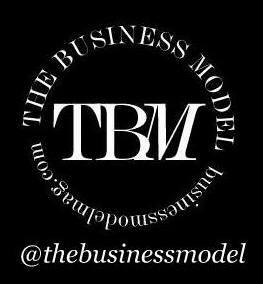 Founded by Jeff and Mary Clarke in St. Louis Montana, Mother Model is one of the top management and scouting agencies in the United States, if not the world. From developing Ashton Kutcher and Karlie Kloss to up-and-comers Grace Hartzel and Jennie Runk, there's no denying Mother Model's eye for talent. We spoke to Mary Clarke of Mother Model about how the industry has changed, the importance of models having their own voice, and how amongst a bevy of new mother agencies, Mother Model has remained in a league of their own. Drea Vujovic is a Serbian-Canadian model who grew up in Toronto, Ontario. After working internationally, she developed a strong presence in the Toronto market, especially for her runway work and was a finalist on Project Runway Canada. Since 2007, Vujovic has worked as a runway coach, mentoring some of modelling's rising stars (including Sophie Touchet, Zoe Colivas, Emma Genier, and Jenna Earle). After just getting back from a trip to Paris, Vujovic managed to sit down with TBM to talk to us about her time in the industry, branching out, moving to Serbia, and her plans for the future as an agent and runway coach. From the age of eighteen, Sean Penhall travelled across the globe working as an international model. After years of working as a model and accomplished photographer, Sean felt compelled to take the valuable experienced he gained to open up his own agency, Want Management. Agent, model, and photographer, the Calgary native is a triple threat who's determination, passion, and good character will surely continue to propel his success.